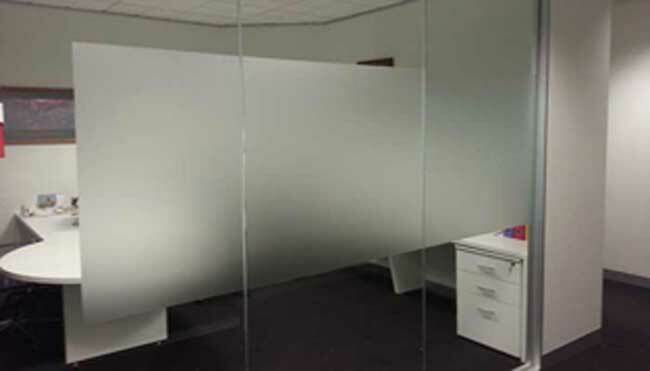 White Frost film installed at Brisbane International Airport. White Frost may be installed on entry doors and windows for privacy. 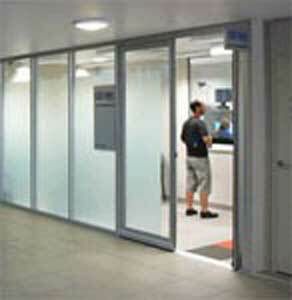 It provides a clean, light, contemporay appearance. This film cannot be computer cut. This film has a similar appearance to 3M Dusted Crystal. It is a thicker film which allows it to be computer cut - eg lettering or designs can be cut into the film.